In India rainfed agro-ecologies contribute 60% of the net sown area, 100% of the forest, 66% of the livestock and provide livelihood, income, employment and environmental security. Rainfed areas are complex, diverse, fragile, under-invested, risky, ethno-economically unique and distress prone. Planning Commission, in its working group report has proposed to develop all the waste land / rainfed areas (88.5 million ha.) in a period of 20 years (i.e. upto XIII Five Year Plan) at a cost of Rs.72750 crore with peoples’ participation.The activities undertaken in this programme include soil and moisture conservation measures like construction of check dams, water harvesting structures, desilting of village ponds, treatment of drainage lines/ gullies, land leveling, bunding of farms, treatment of problem soils, agro-forestry, agri- horticulture,silvi-pasture, organic farming, use of bio-fertilizers, value addition and marketing of produce through farmers groups, training & capacity building of staff & beneficiaries etc. With proper management, rainfed areas have the potential of contributing a larger share to food grain production. In-fact the potential is such that there is more opportunity for faster agricultural growth here than in irrigated areas.The key attributes of the watershed approach are conservation of rain water and optimisation of soil and water resources in a sustainable and cost-effective mode. Improved moisture management increases the productivity of improved seeds and fertiliser. So conservation and productivity enhancing measures become complementary. The basic endeavour of this programme is to encourage exploitation of different farming systems based on the natural resource endowments created by the farmer or by schemes like the Mahatma Gandhi National Rural Employment Guarantee Act (MNREGA), Rashtriya Krishi Vikas Yojana (RKVY), National Horticulture Mission (NHM). This would reduce the risk of crop losses due to weather vagaries, harness efficiency of resources, assure food and livelihood security etc. The objective of the programme is to improve the quality of life of the farmer, especially that of the small and marginal farmer. This would be done by offering a package that would maximize farm returns by increasing agricultural productivity, minimising adverse impact of crop failure caused by drought, floods etc and restoration of confidence in this form of agriculture by creating sustained employment opportunities through improved on-farm technologies, etc. Support of existing income generating activities like fisheries, agriculture, mushroom etc. Support for value addition and storage structures to facilitate better returns for farm produce. Financial resources of Rs 100,000/- will be provided to farmers in arid & semi-arid zones and Rs 80,000/- for sub-humid & humid areas. This money does not include that for construction of tanks and polyhouses. New areas which have potential. This programme will be implemented within the RKVY. 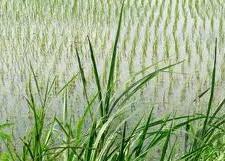 The state agricultural department will be the nodal agency for the implementation of the scheme. To ensure proper coordination the principal district agriculture officer/joint director may involve Agricultural Technology Management Agency (ATMA). Project proposals will need to include village development plans. The monitoring of this programme would be via RKVY database and management information system that has been developed for RKVY projects. There will also be periodical field visits undertaken by state and district nodal agencies.